Calochortus nutalli, Sego Lily. Family Liliaceae. 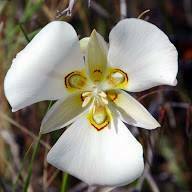 The Sego Lily is the State Flower of Utah. Mormon Pioneers depended on the bulbous root for subsistence during the early settlement years. The plant was used extensively by indian tribes across the Western US. Other members of the Calchortus genus are found throughout the area and are cultivated for their elegant floral display. Caltha leptosepala, White Marsh Marigold. Family Ranunculaceae (Buttercup). 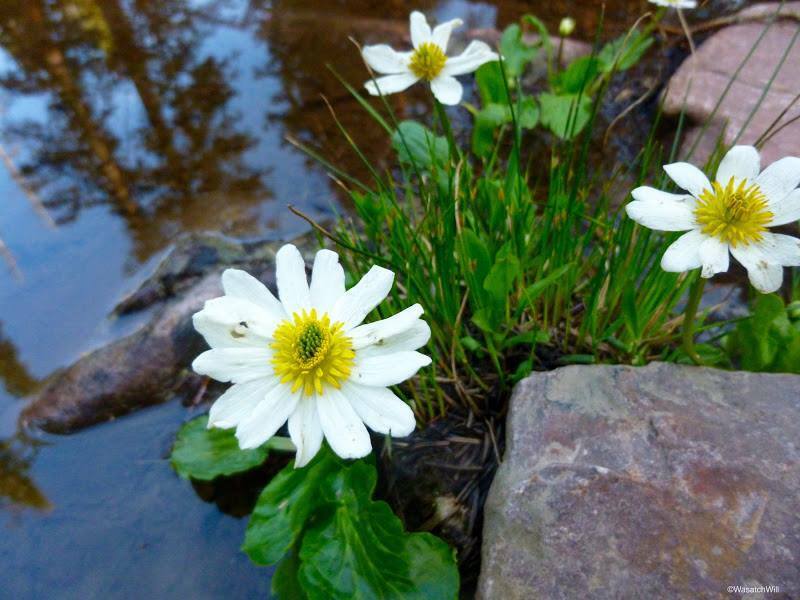 This lovely flower is found in marshy wet places in subalpine locales throughout the Rocky Mountain region.